If all that you want to add in your house is a pinch of beauty then you must get this candleholder. 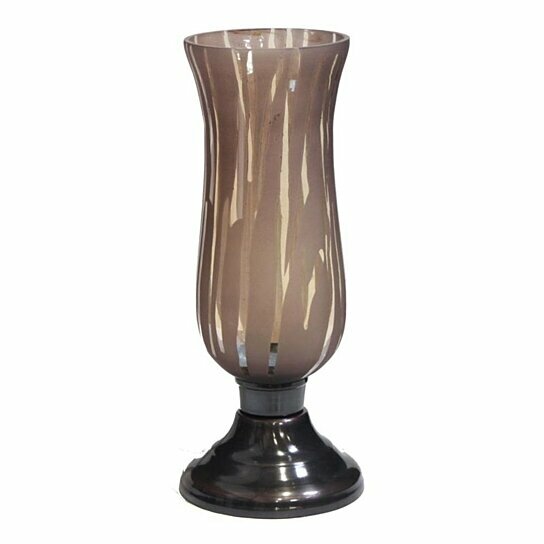 This candleholder has a base washed in black metal shade and a brown shade glass hurricane at the top, which has a linen pattern. Keep any sized candle inside the hurricane and watch the light illuminate the ambiance like never before. Can be placed on the top of accent tables.